Nice transition bit for introducing the indirect control of leverage from the shank and pressure from the curb chain. Works off tongue, lips and bar pressure. 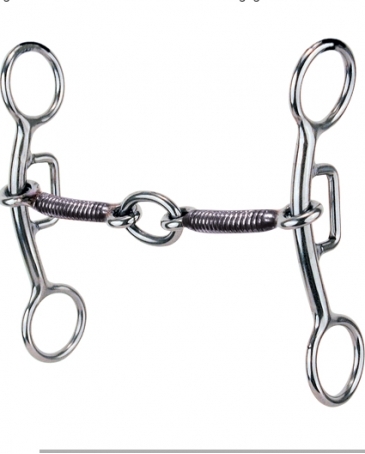 Adjust headstall up to touch or one wrinkle and loosen curb to three to four fingers to allow gag action to work properly. This is a top-selling bit design from Sharon Camarillo, and the mouthpiece is made of sweet iron which will naturally rust into a light patina. 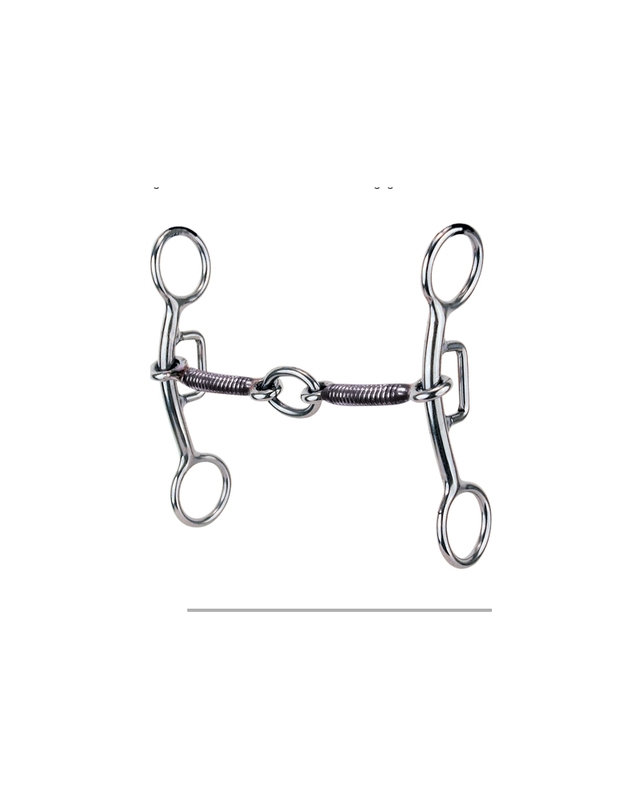 The rust creates a sweet taste for the horse and makes the bit more acceptable and increases salivation for a supple mouth.